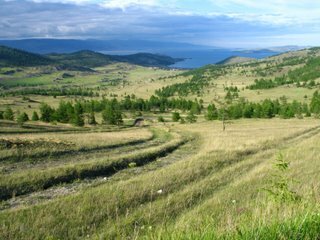 After your arrival to Irkutsk you’ll be met by your guide and later have a transfer by car to Olkhon Island – the biggest Island on the Lake. (about 300 km to go, paved road). Lunch will be served in one of the road cafes where you’ll try National Buryat dish – Pozy (Dumplings). Crossing Olkhon's Gate Strait on ferryboat. It may take some time to wait in queue to get on the boat. Continue driving to the main village of the Island – Huzhir. 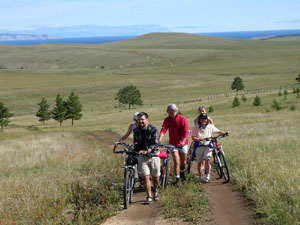 In the evening you’ll have a walking excursion to one of the sacred places of Olkhon – rocky Cape Burhan. 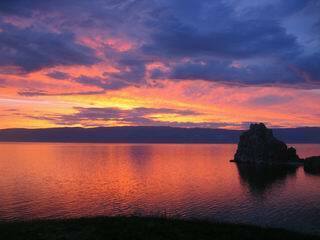 This place is believed to be a Palace of the main spirit of Baikal – Burhan. You’ll have a chance to go through the cave which will lead you to the other side of the Cape. This is how shaman’s showed their magic power by going through the stone. You’ll be accommodated in log houses and have dinner there. After breakfast we’ll take small backpacks and start one-day mountain bike trip. At the beginning route goes partly over the steppe and Taiga forest, crossing main ridge of island to opposite side of Olkhon . 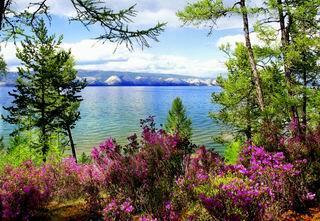 Sandy and dirt roads will lead you to the one of the hidden corners of Olkhon Island – Tashkiney valley. From ancient times locals used to hide in this beautiful creek valley from enemies. Riding on the dirt road down this valley we will get to the Eastern shore of Olkhon were we will have a break enjoying panoramic view to the vast waters of Baikal lake. Lunch will be served for you like a picnic just at the shore of the lake. After lunch stop we will rise to picturesque spot Shara-Nur Lake, which is located at the Taiga forest on the main ridge of Olkhon island. 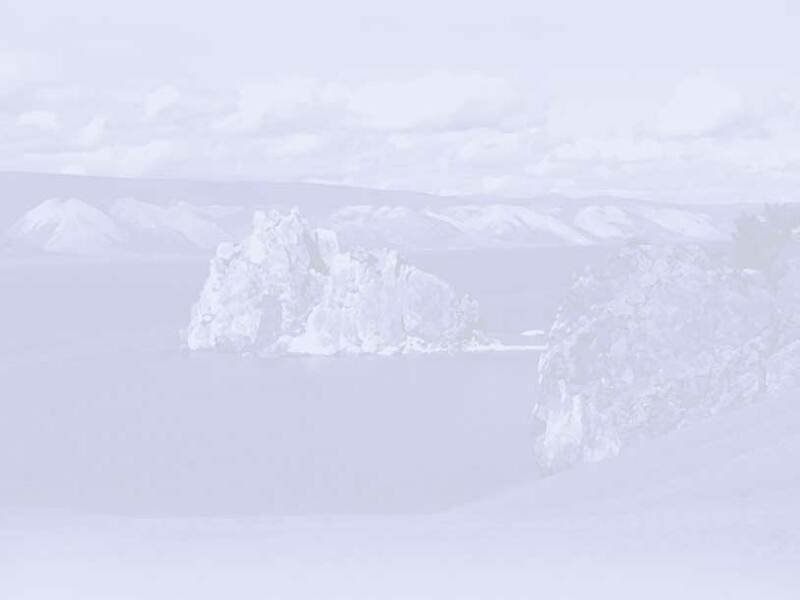 From the language of native people – Buryats, the name of the lake is translated as Yellow Lake, waters of which are very warm and comfortable for swimming. After this recreational stop we’ll continue riding back to Huzhir village. In the evening you’ll relax in the warmth of Russian steam sauna – Banya! Today you’ll have a one-day car excursion to the northern part of the Island. You’ll stop at the most picturesque places of the Island – Sandy Bay, Three brother’s Cape and Usury village. The road is very bumpy and can be very muddy after rainy weather. You’ll have a walk to the very end of the Island – Hoboi Cape. From the language of Buryats it can be translated as White Fang. High rocky cliff at the very north of Olkhon Island is surrounded from 3 sides with endless waters of opened Baikal Lake. Standing on the very edge of the steep rocky cliff over the blue endless waters of Baikal will give you a feeling of being at the very end of the whole Land! There you will have lunch and drive back to Huzhir settlement. After breakfast we will load our luggage on minivan and start driving to the south of the Island. 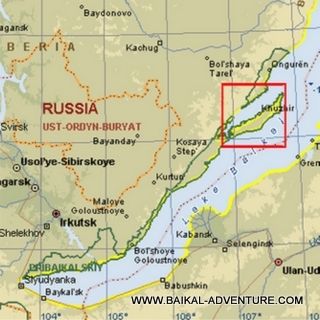 There we’ll get on the ferryboat and cross Olkhon’s Gate Strait. When we get to the main Land we will drive back to Irkutsk. You’ll have lunch in one of the road cafes. Upon arrival to Irkutsk you’ll have excursion around city center. During this excursion you will see coulple of Orthodox churches, walk along main streets and visit local market. Note: Ask manager about ongoing tours and get your group discount!